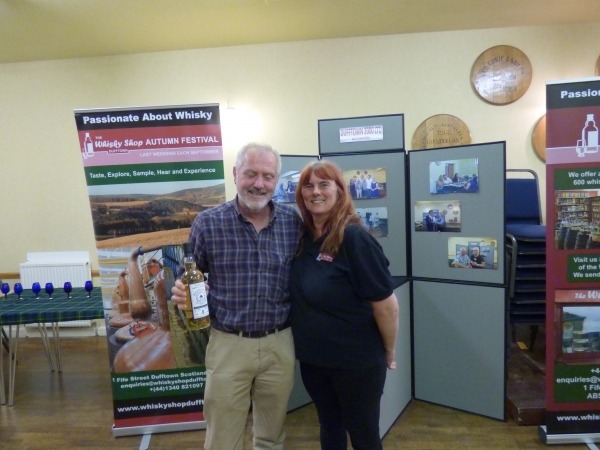 The Whisky Nosing & Tasting Evenings started on the 11 July and we had a great programme lined up for the summer. Details of the tastings and the competition winners are below. 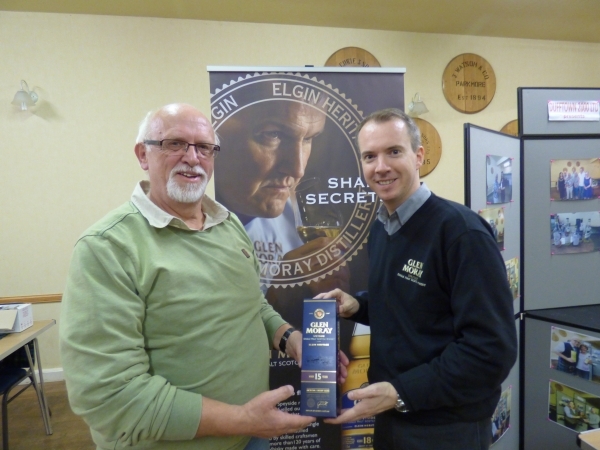 The last Nosing and Tasting evening of the season featured Glen Moray hosted by Distillery Visitor Centre Manager Iain Allan. Iain introduced the International audience of 15 from UK, USA, France and Germany to a great selection from the range commencing with their Classic from a Carbernet Sauvignon Cask at 40%abv. Next up was the 12 YO followed by the 18YO - the latter at 47.2% abv. The tasting concluded 2 vintage expressions from PX Casks, a 1998 at 45.5% abv and a 2010 peated version at 55.8%abv. The blind tasting competition was won by Klaus Ingwersen from Germany. 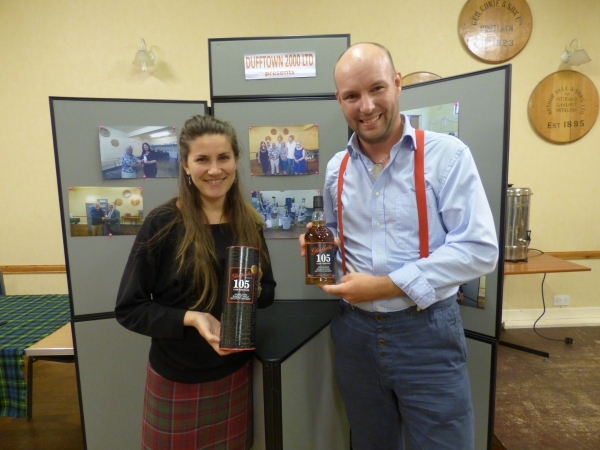 The penultimate Nosing and Tasting evening featuring Cardhu and Cragganmore Distilleries was hosted by Steve Oliver. A mixed international audience of 22 enjoyed a great evening. The tasting got underway with Cardhu 12YO followed Cardhu Amber Rock a NAS double matured expression. Next up was the Cardhu Gold Reserve.We enjoyed both distillery expressions from Cragganmore, the 12YO and the Distillers Edition. 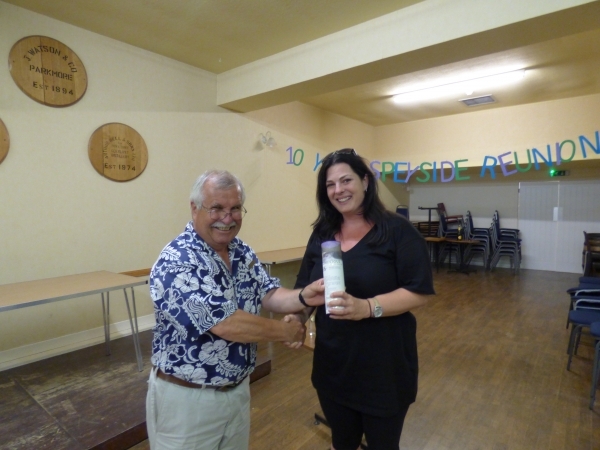 The blind nosing competition was won by Bess Reid from Montana USA. There were 20 guests for this Nosing and Tasting. 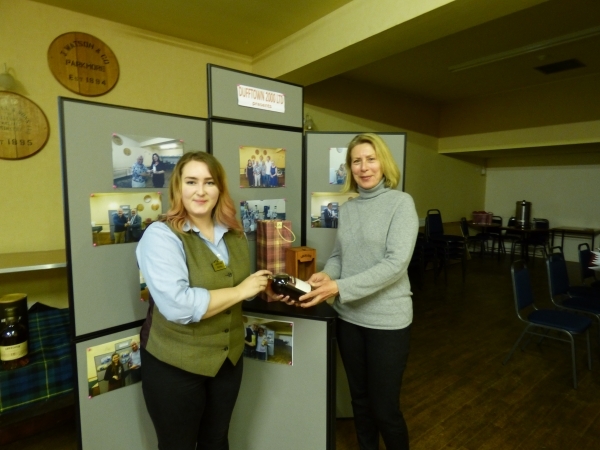 They were treated to an excellent presentation and tasting by Kirstin Ward one of the Ambassadors from the Distillery. The tasting comprised 6 drams: Aberlour 12YO, Aberlour 16YO, 2 cask strength expressions, a 13YO Bourbon Cask and a 13YO Sherry Cask only available at the Distiilery; next was the old favourite A'bunadh and the tasting concluded with Aberlour 18YO. This was an excellent selection of drams and were well received by those present. The blind nosing competition was very difficult as there were 5 sherry cask drams; the winner was Pat Petronio from Australia. Denny MacTaggart from Dewars/ Bacardi hosted an excellent and entertaining evening featuring the groups Highland Distilleries. An International audience of 23 enjoyed Aberfeldy 12YO, Aultmore 12YO, Royal Brackla 12YO, Craigellachie 13YO and a mystery malt which was a Craigellachie at Cask Strength. 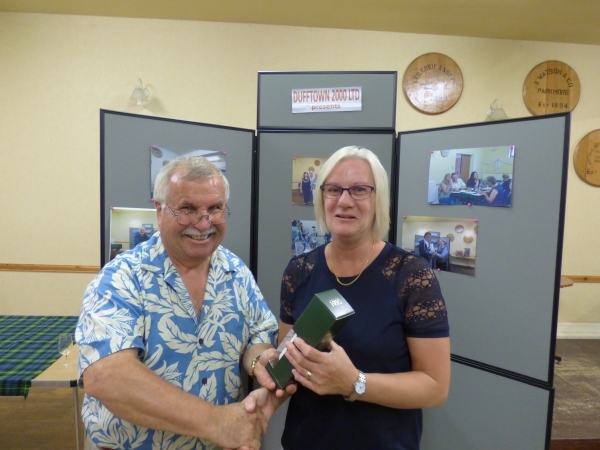 Rather than our traditional nosing competition, Denny provided a very interesting power point and a quiz at the end which was won by Birgit Hartmann. 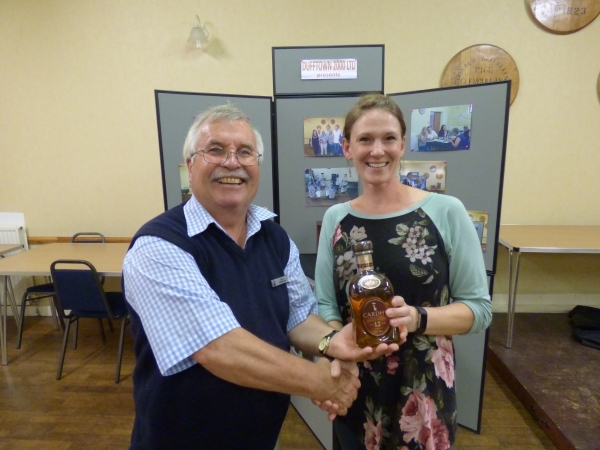 There were 20 guests for this nosing and Tasting presented by Vicky Keogh from the Whisky Shop Dufftown. The 6 drams presented were all 'Shop Exclusives" which were Glenallachie Festival Bottling 12 YO, Glentauchers 25 YO, Orkney 18YO, Balblair 21 YO, Craigellachie 12YO and Dufftown Drammie 8YO. Vicky gave a very interesting talk to accompany the drams. 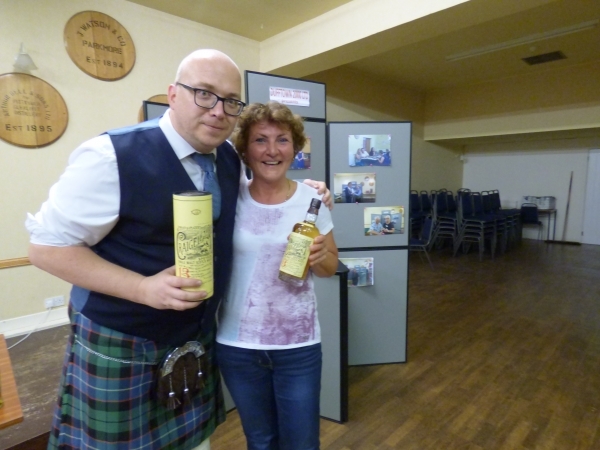 The blind nosing competition was won by Colin Mackenzie from Auchendoun his second this year! There was a good turnout for this nosing and tasting evening with our hosts from Glenfarclas. Sarah Renau Cérés introduced the Glenfarclas line up of the 10, 15 and 21 Year Old. These were followed by the Family Reserve £511.19s a special bottling with casks from the past 5 decades. The tasting concluded with the legendary Glenfarclas 105. The blind nosing was incredibly difficult as all the drams originated from Sheery Casks. Daniel Móller from Sweden claimed a full house and won the bottle of 105 congratulations to him! On 25 July, 23 aficionados enjoyed a great evening with Steve Oliver who presented a selection of Speyside malts. The tasting got underway with an old favourite Tomintoul 16YO. This was followed by Cardhu Amber Rock. The new bottling of G&M Mortlach 15YO. Still a great dram but an increase of £20 a bottle reduces its value for money (Rule 7 applies?). Next up and another old favourite Benrinnes 15YO from the Flora and Fauna range. Finishing off the tasting was Benromach 10 YO 100 Proof (57% abv). This is a tremendous dram worthy of the end spot. The blind nosing competition was won by Carina Wik Svensson from Sweden. On 18 July a mixed International and British Audience we were treated to a very interesting presentation by Alison Leith explaining the refurbishment of the new Visitor Centre at Strathisla Distillery. Lewis Anderson presented Strathisla 12Year Old, an interesting Grain Whisky followed by 2 expressions of Chivas Reagal. Lewis has also brought along Chivas Regal Ultis a blend of Malts. The most popular drams were the 12 YO Strathisla Single malt and the Chivas Regal 18YO. 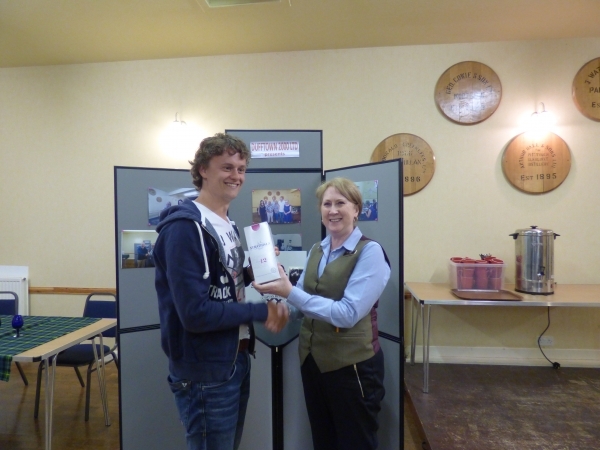 The winner of the blind nosing competition was Max Van der Linden from Holland. The summer programme got off to a great start. Competing with the world cup (and a sad departure for England), a dedicated group of whisky enthusiasts enjoyed 5 expressions from the Glenfiddich stable under the guidance of Brand Ambassador Graham Dempster. 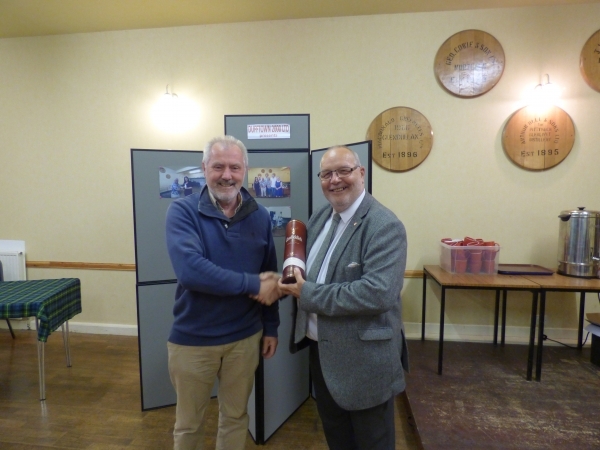 The blind nosing competition was won by Colin Mackenzie from Auchendoun. The summer nosing and tastings got off to an excellent start with a trial run for the Accommodation providers and a few select visitors to Dufftown. Steve Oliver presented a selection of Independent Bottlings of Speyside Drams to align with the theme. The blind nosing competition was won by Sabina Pegle from the US. 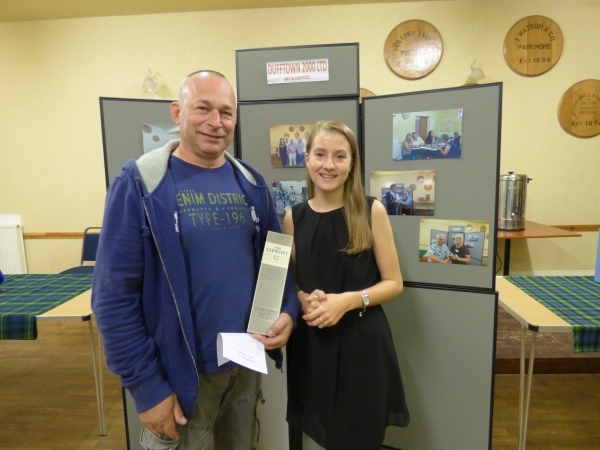 Glen Moray Tasting 12 Sep 18 - Winner Klaus Ingwersen from Germany.